Want to know the best VPN for Indonesia which can help you out keep away from all creeps? Then read this guide. This helpful guide will talk about all the VPN services that allow you to have access to any and all websites and services in Indonesia. The VPN services that we will mention in this guide will work for you regardless of the fact if you are in Indonesia for work or are just traveling to this country temporarily. Aside from that, you should know by now that Indonesia is one of those countries where the percentage of people making use of VPN services has already gone pretty high compared to the rest of the region. And we know for a fact that there is a good reason for the high usage. 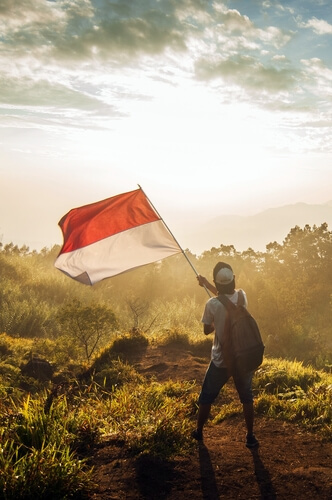 A study that came out in 2018 from GlobalWebIndex actually found out that around 44 percent of all online consumers in Indonesia made use of VPN services on a regular basis. That is startling if you really think about it. That essentially put Indonesia very high in the list of countries where people make use of VPN services consistently. Now, on the face of it, Indonesia has a democratic political system. However, that has not stopped law enforcement agencies in Indonesia from censoring various forms on content on the internet. Actually, the censorship program in Indonesia is as widespread as in any other place on earth. The vast majority of the population in the region belongs to a particular religion and the authorities there feel that they need to protect that population from some of the ills of the internet. But sometimes, those well-intentioned measures to protect a given population grow to become excessive and repressive security legislation. Some say that the government is launching various surveillance programs within its borders because of a perceived threat in the form of terror groups. However, there is also a portion that feels that the government is making use of various censorship tools on the internet in order to hide its own corruption. Whether that is true or not depends on the newspaper that you read or the channel you watch on YouTube. It should not come as a surprise to anyone that the usage of VPN services in Indonesia continues to go up as the number of tourists and locals who want a more free and open internet rise. Not only that, but there is also the fact that some portion of the population simply cannot afford to experience any type of entertainment apart from what the internet has to offer to them. We hope we do not have to make an argument about how the internet enables users to have access to unlimited knowledge. But people in Indonesia also want to make use of VPN services for other reasons. Bypassing censorship is one reason. Other reasons include watching US Netflix as well as unblocking all other streaming sites along with torrent sites. These are just some of the reasons why VPN services all over the world are able to draw so much attention from a country like Indonesia. The other problem is that the Indonesian version of Netflix does not offer users the best titles that are available on US Netflix. In fact, our research shows that the content which is available on the Indonesian version of Netflix has content that is heavily restricted. Moreover, the actual number of titles is also lower when compared to US Netflix. That is just one reason why we recommend that all Netflix users in Indonesia and otherwise should sign up for a good VPN for Indonesia. Our research shows that the best VPN for Indonesia is, without a doubt, IPVanish. We will take a look at those in a later section of this guide. If you already knew that and want to sign up for IPVanish from the official website right here and right now then you need to perform a click here. In this guide, we will take a look at some of the other best VPNs for Indonesia and why we think they are the best. Apart from that, after reading this guide, you will know pretty much everything that one is ought to know about the best VPN for Indonesia. We will also talk about some VPN services which are good at specific tasks that a given user may want to carry out with the help of a VPN service. How to select the best VPN for Indonesia. As alluded to before, perhaps the most difficult part about signing up for a good VPN for Indonesia is which one to sign up for or which is the right one for you. We have already answered the first question for you. For the second question, you should know that the VPN market has grown a lot since its humble beginnings. In fact, it is overcrowded. You do not have to search too much to figure out that there are many prime VPN service providers who all have a desire to get a big piece of the user market share pie. That is why these VPN services go to great lengths in order to sell all the benefits of their VPN services to Indonesians as well as anyone else who wants to sign up for a VPN service. However, we have no problems in telling you that the truth is something else. The truth is that there are definitely those VPN service providers that are not good. Then there are those which are better than the rest of the pack. Sometimes, users find it difficult to differentiate between a reliable VPN service provider and a fraud. That is just one reason of many reasons why we have decided to ship this guide your way today. Well, our research shows that there are actually a small number of features which you need to look out for in order to benefit from a VPN service to the fullest. Let’s take a look at those features turn by turn. This is perhaps the most important feature. The problem with the government in Indonesia is that it has a record of punishing anyone and everyone who gets caught while using a VPN service in order to view content that the government has banned. In some cases, perhaps the government may do the right thing. But if the government is jailing people so that they are unable to find more about their rights and other such stuff (like the correct knowledge) then it is no doubt an act of oppression. So if you are one of those users who have planned to take part in any such activity then you need to make sure you always have the services of a good VPN service close by. It should also guarantee all its customers that it takes no part in keeping user logs. Both internet service providers and government agencies in Indonesia have this tendency to take a look at what a suspect user is doing in the online world. So if you have this need of keeping your data not only safe but also anonymous, then you need to sign up for a VPN service that makes use of strong encryption and then implements it properly in a reliable manner. We are totally aware of the fact that you may only want to access servers in Indonesia because you have arrived in the country a little a while ago and want to access the local versions of your favorite sites. Well, it turns out that there are also local people in Indonesia who have this desire to connect to a VPN server that is located in a neighboring country where the government does not have any kind of censorship programs. Of course, those of us who are actually tourists Indonesia might want to access a blocked service which they signed up for back home. Then there are those people who would like to go to Indonesia but only on the condition that they are able to access US Netflix in Indonesia. Either way, if a VPN service has a big enough VPN network then that is a huge advantage over that VPN which offers only a small number of VPN servers. This is essentially a no-brainer really. The way the economies of the world interact with each other means that VPN services have become expensive for some and not so expensive for others. Sometimes, people who earn in their local currency cannot afford to sign up for the best VPN service in the world. Hence, they should look for the VPN service that will provide them with the best performance for their dollar. An affordable VPN service is the one that charges less than the average price in the industry. We also recommend that you should only sign up for that VPN service that offers at least a seven-day money back guarantee. Here is the list of best VPN services in Indonesia that you should look out for in 2019. Now you know the list. But you also need to know more details about each of the VPN services that we have mentioned above. Let’s talk about each one of them to know what is it that makes it stand out from the rest. If you feel that the price of a given VPN service becomes a problem for you not because it is too high but because you do not get anything in return, then IPVanish is the option for you. If you sign up with a VPN service like IPVanish you basically give yourself the best chance of protecting a multiple number of your Internet-enabled devices from a single subscription package and/or account. We want to let you know that you can actually save a ton of money if you just sign up with IPVanish for a longer period of time and share your official IPVanish subscription with just some of your friends and family. If you feel that IPVanish would appeal to your needs then click here to sign up for IPVanish right here and right now and that too from the official website at a decent discount. IPVanish is without a doubt the best VPN for Indonesia not because it is the fastest or has the most number of servers or advanced options, but because of its reliability and privacy. With IPVanish you never have to worry about your connection not being safe or IPVanish suddenly sharing your data with law enforcement agencies in Indonesia. Moreover, it is not necessarily the number of features that a VPN service offers which makes it great but the quality. And when it comes to quality there is none better than IPVanish. IPvanish is the best all-round VPN service that you can ever hope to find. The company implements the strongest encryption technologies that are currently available in the market. IPVanish also happens to have good privacy policies and while it came under some heavy scrutiny in recent months, the response of the company was enough to show everyone that IPVanish is serious about user privacy. And keeping its throne as the best VPN for Indonesia. Readers should also know that now IPVanish has a strict zero-log policy as well. With that said, perhaps this is a good time to mention that IPVanish is not necessarily the greatest VPN service in the world when it comes to streaming content from sites like Netflix. But it works against censorship. The company has a huge VPN network and has multiple servers in Indonesia. As for the price, IPVanish is economical given the fact that with just one subscription you can protect a total of 10 devices. Click here to sign up for IPVanish right now from the official website and at a discount. Online consumers in Indonesia who want to sign up for a quality VPN service but at a cheap price should give NordVPN a loo. This VPN service is pure class. NordVPN offers users some of the lowest prices that users can expect to find in the market today. We do not know of a major elite VPN service provider that is able to compete with NordVPN on the price factor. It is simply too good. NordVPN also offers a 30-day no-questions-asked money-back official guarantee with each of its packages. Apart from that, NordVPN has a ton of cool features which when combined with the incredibly low price that the company can afford to offer, makes NordVPN one of the best options for people who are in Indonesia. Our research shows that NordVPN implements a strong encryption technology which can easily rival that of ExpressVPN. But NordVPN takes the lead over ExpressVPN because of the range of all the extra security tools that it offers to users. NordVPN has its offshore headquarter in Panama. This allows the company to provide privacy-conscious users with a watertight and strict zero-logs policy. So far, the company has managed to keep its side of the bargain fairly well. As for servers, currently, NordVPN offers users more than 5000 VPN servers which are available in a good number of countries located in south-east Asia. Indonesia, as we all know, fall in that region. NordVPN has made some significant investments into its infrastructure recently which has allowed the company to offer not just low price or strong security features but also fast speeds. The company now has some super-fast VPN servers as well. Our research shows that they can match any other VPN service’s server in terms of performance and connection speeds. Click here in order to review our complete NordVPN review. Before we move on to the next option we would like you to know that NordVPN takes great pride in itself because of the fact that it can unblock pretty much any and all streaming services, apps, and websites. This means, NordVPN is the best VPN for Indonesia for those people who want to evade state censorship in order to watch content on streaming services such as US Netflix outside US. Our suggestion is that if you live in Indonesia and want to sign up for the best value-for-money VPN for Indonesia then you are highly likely to sign up for a worse VPN than NordVPN. Click here to sign up for NordVPN from the official website at a discount right now. It should not come as a surprise to you or to anyone that ExpressVPN is again one of the best VPN for Indonesia in the world right now. You will have to spend a lot of time before you are able to find an option that smokes ExpressVPN. For internet users in Indonesia, ExpressVPN may, in fact, be the best choice if by best choice we mean a VPN service that is able to satisfy all the criteria that we have mentioned above. Our research shows that ExpressVPN offers users some of the strongest and most robust security encryption technologies which are available in the market right now. More specifically, the company makes use of the 256-bit AES encryption protection. This level of encryption is, our research shows, strong enough to protect anyone and everyone’s data. Not only that, but the AES 256-bit can also ensure that no one is able to look at your data. 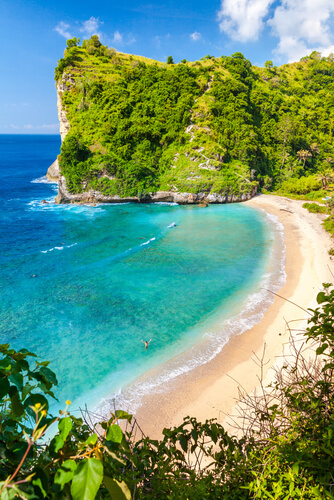 The company, as a VPN service, is based in the region of the British Virgin Islands. This enables ExpressVPN to offer users a dependable and private VPN service. The protections that ExpressVPN has in place for its users also means that the company does not keep any logs on its customers. Hence you can trust ExpressVPN with your data and your internet connection. We rate ExpressVPN very highly for the simple reason that it does not have all these security provisions at the expense of its user’s internet connection speed. In other words, it does not affect your internet connection that much. And our research does show that ExpressVPN is one of the most consistent (at offering speeds) and the fastest VPN service provider in the world. That holds true even if you compare with the top VPN service providers available in the market today. Click here to read our full ExpressVPN review and find out how good it really is. 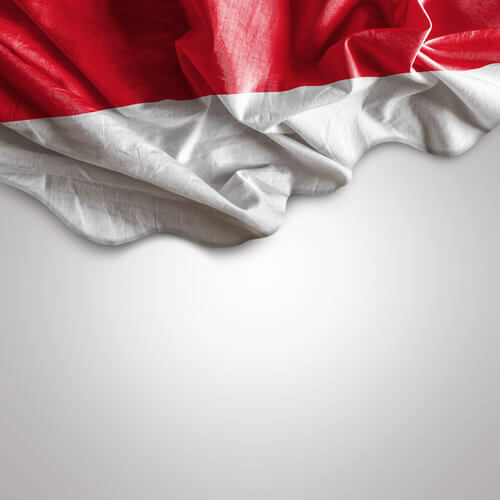 For those online consumers who have a need or getting around restrictions and censorships in Indonesia, there is hardly a better option than ExpressVPN because of its network. More specifically, ExpressVPN happens to have a huge VPN server network. 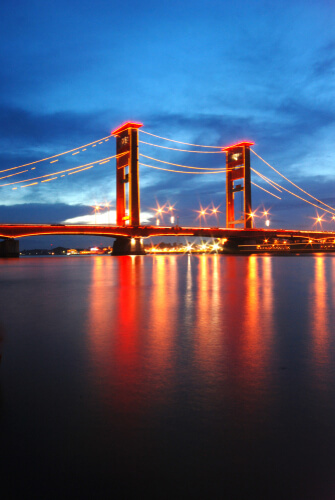 There are also a multiple number of VPN servers located in Indonesia if that is your requirements. Add that to the fact that ExpressVPN offers users great dedicated apps for all major devices. So tourists do not have to worry about their VPN service not letting them log in easily on their Internet-enabled mobile phones. As for subscription cost, our research shows that ExpressVPN offers users a price that goes slightly past the industry average. But that can obviously change anytime. Besides, you have to keep in mind that all ExpressVPN packages come with a terrific 30-day official money-back guarantee. That would actually give you a ton of time to try out the VPN service before you have to commit your money to ExpressVPN.